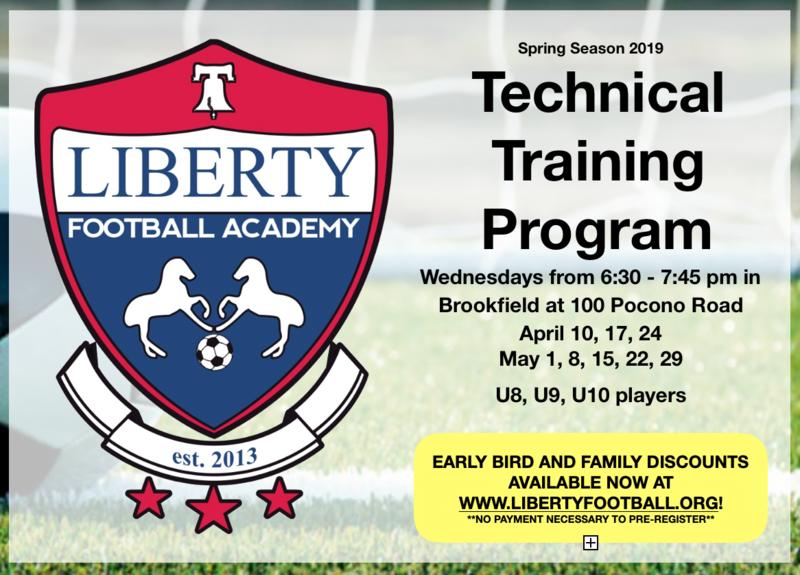 Liberty Football is offering Technical and Goalkeeper Training programs this Spring on our fields at Town Hall! 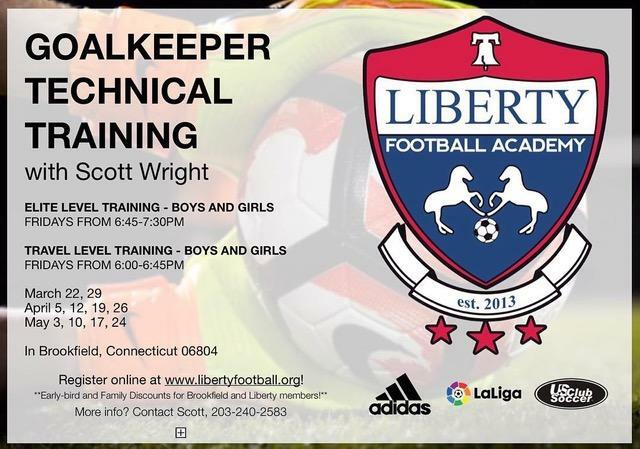 Please see the announcement below from US Youth Soccer for details on these changes. Small-Sided Games will be mandated come August of 2017, with specific changes occurring in regard to alterations to the field size, goals and rules. The result will be a decrease in 11-vs-11 competitions in lieu of more 9-vs-9 and 7-vs-7 competitions. U.S. Soccer will encourage the adoption of Small-Sided Games best practices in August of 2016. US Youth Soccer has been encouraging Small-Sided Games for more than 20 years and most of the 55 member State Associations have adopted the philosophy during that time. The benefits of Small-Sided Games for players include more fun, more touches on the ball and more tactical decisions. The style of play will allow players to learn different positions, learn tactics quicker, increase fitness and allow players to be more emotionally and socially involved — creating a more fun and enjoyable game. Effective August 2017, the grouping of players will change nationwide, with encouraged adoption of best practices in August of 2016. U.S. Soccer will go back to calendar birth years to align with international standards and Youth National Team programs. US Youth Soccer will implement the best practice of calendar year age grouping for player registration beginning with the 2016-2017 soccer year. Using the school calendar for age groups is practiced only in the United States and Canada; all other FIFA members go by the calendar year. Previously, age groups were determined based on players born between Aug. 1 and July 31. The change to calendar year age groups will reflect the calendar year, or Jan. 1 to Dec. 31. Players are still allowed to “play up” or play in an older age group. US Soccer explains that birth year registration should be calculated based on the year in which the season ENDS. For example, if a season begin in the fall of 2016 and ends in the summer of 2017 (ex: 2016-2017 season), the players would be registered based on their age in the year 2017.